Doctor Timothy Keller started Redeemer Presbyterian Church in Manhattan in 1989. It has since grown from 50 member to 5,000 and continues to grow. His ministry focuses on the city and urban church planting. With a congregation of predominantly city workers and professionals Keller is keen to see faith mould culture in these influential areas. 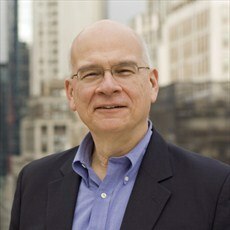 His New York Times bestselling books include apologetics go-to The Reason for God, Prayer, The Meaning of Marriage, and King's Cross. He's also the author of two devotionals My Rock My Refuge taking you through the Psalms over the year and The Way of Wisdom, walking you through Proverbs. Renowned for writing with clarity and wisdom Timothy Keller unpacks difficult subjects for believers old and new to understand.